Thomas Ristenpart is an Associate Professor at Cornell Tech and a member of the Computer Science department at Cornell University. Before joining Cornell Tech in May, 2015, he spent four and a half years as an Assistant Professor at the University of Wisconsin-Madison. His research spans a wide range of computer security topics, with recent focuses on new threats to, and improved opportunities for, cloud computing security, as well as topics in applied and theoretical cryptography. His work has been featured in the New York Times, the MIT Technology Review, ABC News, U.S. News and World Report, and elsewhere. He completed his PhD at UC San Diego in 2010. 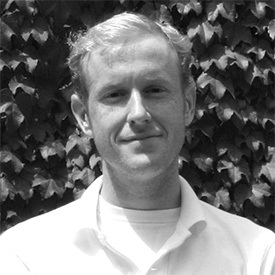 He received the UC San Diego Computer Science and Engineering Department Dissertation Award, an NSF CAREER Award, Best Paper Award at USENIX Security 2014, and a Sloan Research Fellowship.